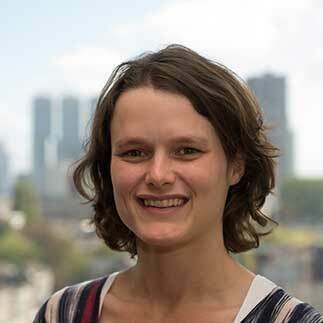 Renske works at Quantib as a senior R&D engineer and is product owner of Quantib™ Brain. She has been part of Quantib from the very beginning in 2012. At Eindhoven University of Technology she studied Biomedical Engineering and moved to Rotterdam afterwards. Here she obtained her PhD degree at the Erasmus MC in the research group of prof. Wiro Niessen. Her thesis titled "Automatic Analysis of Brain Tissues and Structural Connectivity in MRI" forms the starting point of the algorithms of Quantib™ Brain’s first release. She loves that her research is now being used in the clinic and that her work contributes to translating research algorithms into practical clinical applications. Outside working hours, Renske likes spending time with her husband and daughter; is eager to try a new culinary recipe, both preparing and enjoying it; and enjoys playing board games with friends.